So here it is > Motorola DROID Pro. It is supposed to have a 1.3GHz CPU, 4″ screen and global roaming capabilities. Estimated launch of November 2010. Not sure how pleased Verizon is with this leak, but it doesn’t matter now, the Droid Pro leak is out and spreading across the web like wildfire. BGR has just leaked info from an inside source at Verizon that basically dumped the next year or two of Android releases, mobile phones, and even the Motorola Android tablet. One of the more interesting leaks was the Droid Pro. 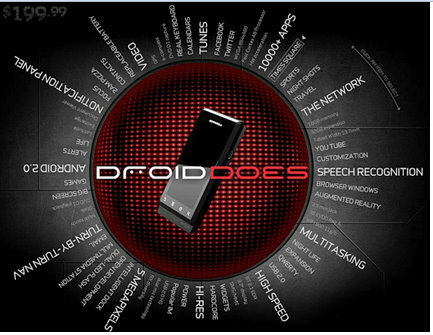 Verizon first launched the Motorola Droid, then came the Droid X, and now we have an upcoming Droid Pro. So what do you think about the possibilities of the Droid Pro? I almost got the Droid 2 but decided to hold off for this phone. Can’t wait for the actual announcement. I hope it comes out soon so can shoot my geeky load. :) Being a nerd has it’s perks.